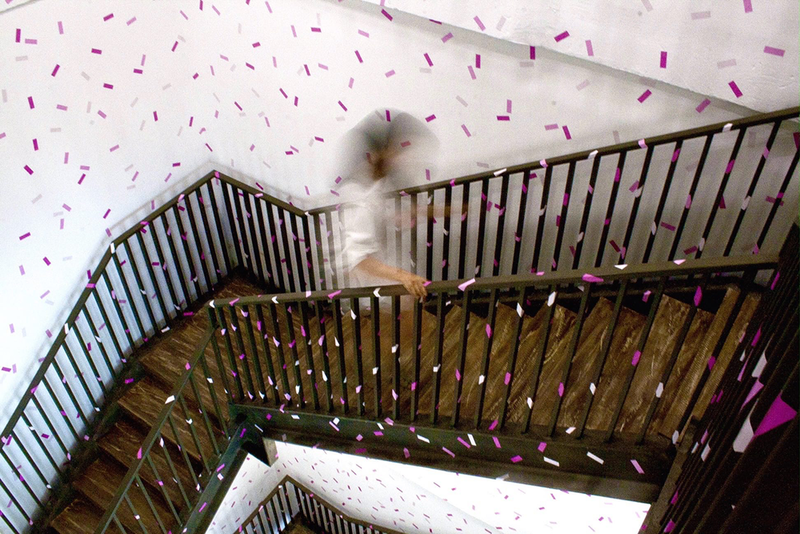 BANG is an installation of over 16,000 custom vinyl confetti stickers applied throughout the shared central stairwell of the Singapore Facebook office. By hijacking this vertical tunnel with a 2D application of bright coloured strips in varying shades, the work transforms an unexpected, pedestrian area into a 3D universe of blitz, resembling a giant confetti bang that perenially waltzes down five floors of the office. BANG is a fun, irreverent attempt to fossilize the joy and thrill found in the most simple and climatic human experiences like surprise, wonder and love.